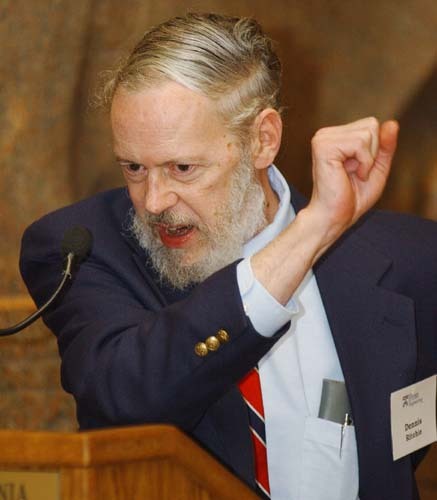 A note from Brian Kernighan on the symposium held in memory of Dennis Ritchie last month. I had the great honour to have Dennis and then Brian as my boss when I worked at Bell Labs. I particularly enjoyed Brian's talk on Dennis, below, where he focussed on Dennis as a writer. It's unfortunate, but time marches on. There was a gathering in honor of Dennis Ritchie's contributions at Bell Labs on Sept 7. It drew a large crowd, mostly Bell Labs alumni and present employees. Several of us gave short talks, which eventually wound up on YouTube. Al did an especially good job, and the Ritchie segments reveal how talented the family is, along with some facets of Dennis's life that none of us ever knew.